After a bitterly cold sleep in the tent, I woke to see Mount Field National Park had become engulfed in thick fog. I quickly grabbed my gear and headed towards the falls. I first photographed Russell Falls before making my way up to Horseshoe Falls. 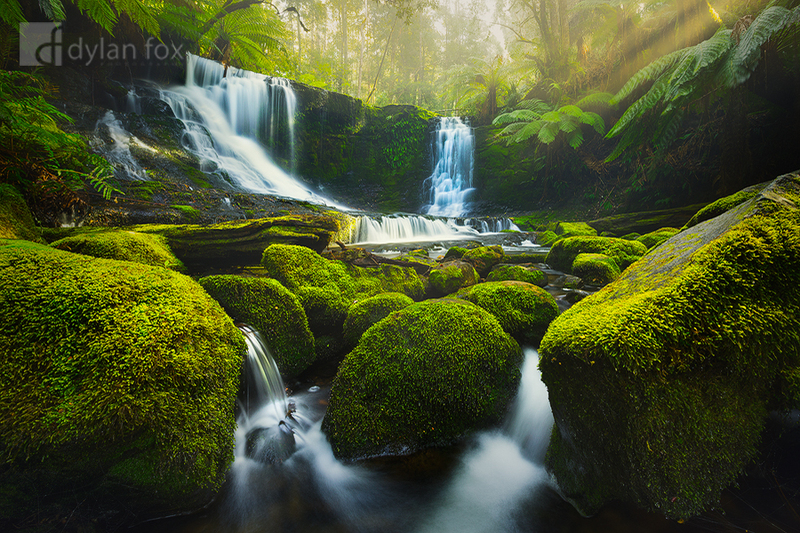 This Horseshoe Falls photograph captured some stunning conditions. The fog was just starting to lift and allowing some warm morning light to filter in. In the top right it was creating sun beams that were the icing on the cake for what was a stunning morning spent in such a spectacular location. Tasmania really is such a beautiful place and this is one of its iconic locations. Secure your limited edition, Horseshoe Falls print, 'Lost In A Fairy Tale', by selecting your desired print size in the menu to the right.